The 2014 Mitsubishi Mirage is a five-door hatchback with a namesake that is resurrected from recent years. 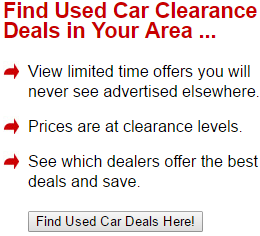 It is offered in two trim levels of DS and ES. This little hatchback is noted as a fun car to drive. Here are 10 reasons to buy a 2014 Mitsubishi Mirage. The Mirage achieves 37/44/40 miles per gallon. This is a great car for casual everyday use that saves money at the pump while giving the owner the satisfaction of lessening their carbon footprint in these days of concern about climate change and environmental safety. Mitsubishi claims that their new Mirage will be "the most fuel-efficient non-hybrid gasoline vehicle available in America." The Mirage is specifically designed to reduce coefficient drag to 0.28. Test drivers have noted that this car easily zips through the urban streets and they concur that the new Mirage is a fun car to drive. The 2014 Mitsubishi Mirage has tempting standard features like power windows, side mirrors, and door locks. Additionally, the new Mirage is equipped with remote keyless entry, an adjustable tilting steering wheel, and an automatic climate control system. A 40/60 split-folding rear seat adds passenger and cargo carrying flexibility. The new Mirage also comes with a 4-speaker, 140-watt stereo, a USB port with iPod connectivity, and a CD player. The ES model trim is equipped with even more luxurious standard features that are unusual for sub-compact class vehicles, including a FAST-Key passive entry system with push-button ignition, wireless Bluetooth phone connectivity, a leather wrapped shift knob and steering wheel with controls for the stereo cruise control, 14-inch aluminum wheels, and fog lights. Both DS and ES models are offered additional options, including LED interior ambient lighting; a reversing camera and rear park-assist sensors; exterior styling upgrades, and a navigation system. The Mirage comes with a generous 10-year/100,000-mile powertrain warranty and a 5-year/60,000-mile vehicle warranty with 24-hour roadside assistance. An optional continuously variable transmission includes a system with hill-start assist. The Mirage is expected to achieve its best fuel-efficiency ratings with the CVT transmission. The Mirage has impressive standard safety features. It is equipped with 7 air bags, traction and stability control, and anti-lock brakes with brake assist. Test drivers are impressed with the smooth ride and easy handling of the new Mirage. The Mirage is a sound, sturdy, and handy car for those who need the extra storage room that hatchbacks offer. The Mirage has a 1.2-liter 3-cylinder engine that provides 74 horsepower and 74 lb.-ft. of torque. If one needs a car with power to climb steep hills on a regular basis, or a car to tow their horse, boat, or heavy equipment, the Mirage is not designed to suit those needs. While the CVT transmission with hill assist, traction control, and stability control do add to the Mirage's abilities, if one need more power on a regular basis, they will probably be happier with another car. The Mirage has moderate storage and cargo space. This little hatchback will provide eight cubic feet of trunk space with the rear seats folded up, and up to about 20 cubic feet with folded seats. Those who have family or friends that will be using those back seats on a regular basis and also need plenty of room for luggage or groceries while those back seats are in use would probably be happier with another car. Those who are attracted to a car with a sporty presentation or a car that speaks of prestige will not be satisfied with this little hatchback. The Mirage is an everyday get-around car that is not built for impressive 0 to 60 numbers or drag racing. While the Mirage does have impressive and uncommon luxury features for its sub-compact class, it does not offer lane departure warning or assistance, touch-screen monitors with DVD functionality, or an 18-speaker premium sound system. The upholstery is fabric, not premium fine leather. 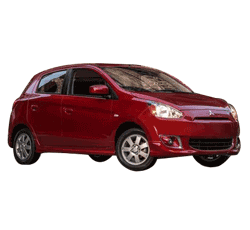 The 2014 Mitsubishi is a solid little car that will serve its owner well in everyday driving situations with satisfying gas mileage, luxurious features, ample safety features, and six-to-ten years of worry-free warranty. This is a great car for students who need a stylish-yet-practical car to zip to class. It is also a great little car for daily activities like shopping, picking up the kids, and zipping to work. The fun colors are an added bonus, since the roads are mostly painted grey, white, and black with cars these days.